“MFA Bound” by Prof. Liz Whiteacre–download this! “When People Ask Me About Applying to MFA Programs” by Prof. Cathy Day–ditto. 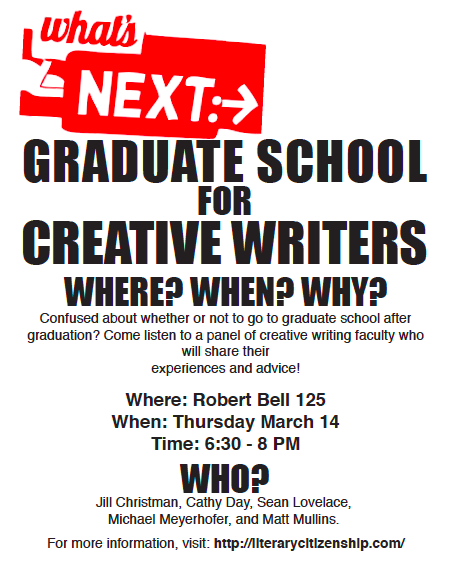 The Creative Writing MFA Blog. “MFA Fever.” The Chronicle of Higher Education. “2012 MFA Rankings: the Top Fifty” by Poets & Writers magazine. Use this as a starting place. The rankings themselves are highly controversial. “Portraits from MFA Nation” by Poets and Writers magazine. 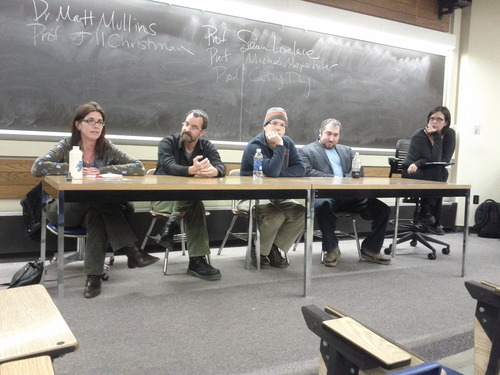 This event was organized by the students in Cathy Day’s Literary Citizenship class at Ball State University. And here’s a picture of the event!